It’s 459 BC in Athens, Greece, and 21-year-old Nicolaos is one of a few sleuths in the city. Nico’s work comes from Pericles, an Athenian wise man and politician, who hires him to solve crimes, but conveniently forgets to pay him. 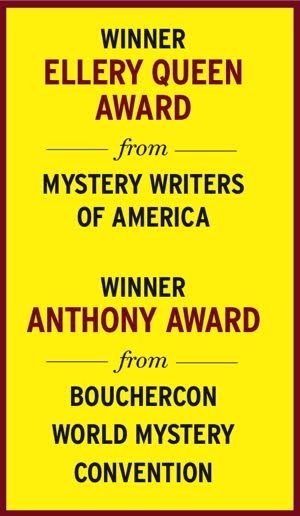 In The Marathon Conspiracy, the fourth in Gary Corby’s Athenian mystery series after last year’s Sacred Games, two young girls, who attend a private school for the daughters of wealthy Athenians, find a skull and a scroll case in a cave. It’s determined that both the skull and the scrolls belong to Hippias, the Last Tyrant of Athens, who was thought to have died in Persia. One of the girls is killed by what appears to be a bear, but there have been no wild bears in the area for years. Then the other girl disappears as does one of the scrolls. Nico and his cohorts, the feisty priestess Diotima who also happens to be his fiancée, and his pesky but logical 12-year-old brother Socrates are called upon to investigate. 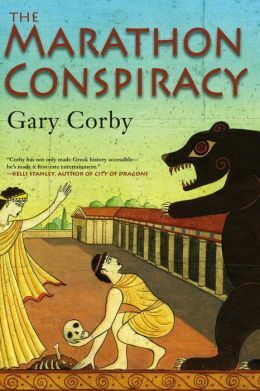 Corby has taken what could be a dull subject and presented it with humor and a solid plot. He gives readers a mix of historic and fictional characters that blend seamlessly. By “The End” the reader has received an education in ancient history, including the Battle of Marathon, along with a lesson in the social and cultural mores of the day. The use of modern-day language and touches gives the story the humorous edge it needs. (Imagine a merchant who owns a Rent-A-Slave business.) Nico’s struggle to bring the independent Diotima to heel as befits the proper Athenian wife she will soon be, and her complete disregard of his feeble attempts to rule her, will have readers rooting for them both.